Here is an example of what is typically available during each season. Mother Nature will of course influence the timing and quantity. Spring (May and June) - Vine ripened tomatoes, fresh salad greens, asparagus, rhubarb, spinach, radishes, peas, green onions, fresh herbs, kohlrabi, kale, collards, cucumbers, navy beans. 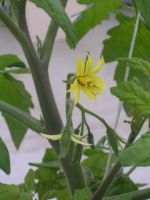 Early Summer (Mid-June to Mid-July) - Vine ripened tomatoes, fresh salad greens, several varieties of summer squash, strawberries, green beans, peppers, eggplant, fresh herbs, radishes, onions, carrots, cucumbers, beets, kohlrabi, kale, cabbage, navy beans. Mid-Summer (Late July and August) - Vine ripened tomatoes, fresh salad greens, peaches, muskmelon, honeydew melon, cantaloupe, green beans, radishes, several varieties of peppers, eggplant, okra, sweet corn, watermelon, Lima beans, cabbage, fresh herbs, beets, kale, collards, kohlrabi, navy beans, cucumbers, cabbage. Late Summer (September) - Vine ripened tomatoes, fresh salad greens, sweet corn, apples, radishes, carrots, cabbage, eggplant, fresh herbs, cucumbers, beets, melons, peppers, okra, green beans, Lima beans, squash, kale, collards, fresh ginger, navy beans. Fall & Early Winter (October) - Vine ripened tomatoes, fresh salad greens, acorn squash, other winter squashes, pumpkins, spinach, apples, cabbage, sweet potatoes, beets, onions, navy beans, kale, collards. Looking to make some sauerkraut or kimchi? Let us know in advance because we raise both Dutch Flat Head cabbage and Chinese Cabbage.